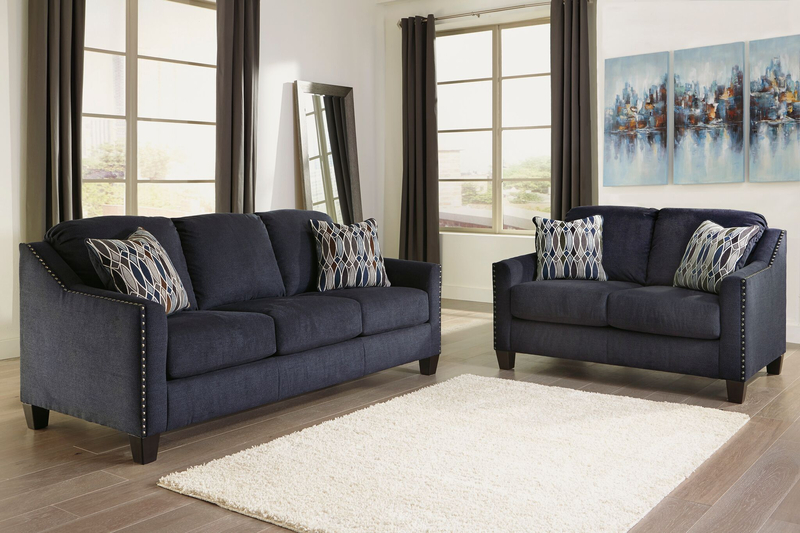 The Ferlin coffee table set rounds out your living space with its two-toned approach to style that's both earthy and elegant. Rustic and rich wood-color tops with grooved accents complement the metal framing crossbar design. The table top is made with select inlay veneers with a groove accent finished in dark brown. Cocktail table dimensions: 35.75" x 35.75" x 18.25". 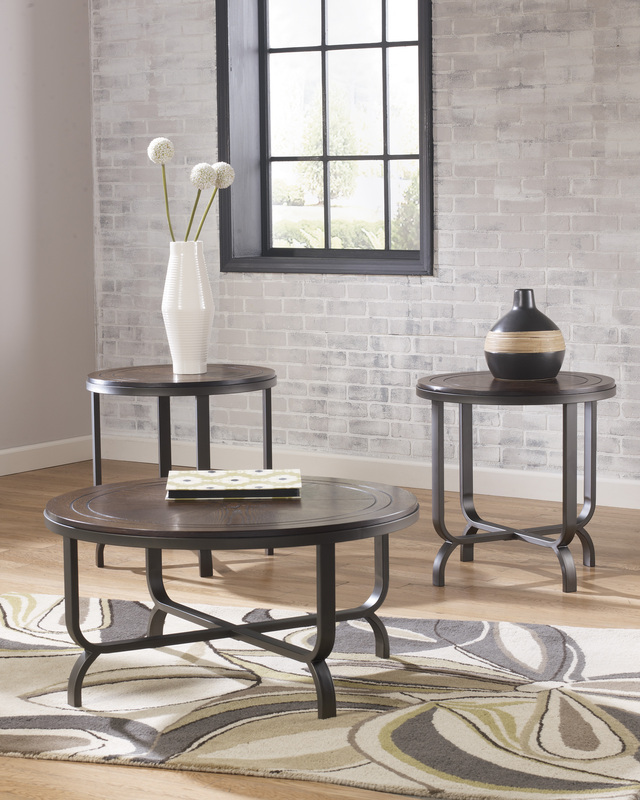 End table dimensions: 24.00" x 24.00" x 24.25".